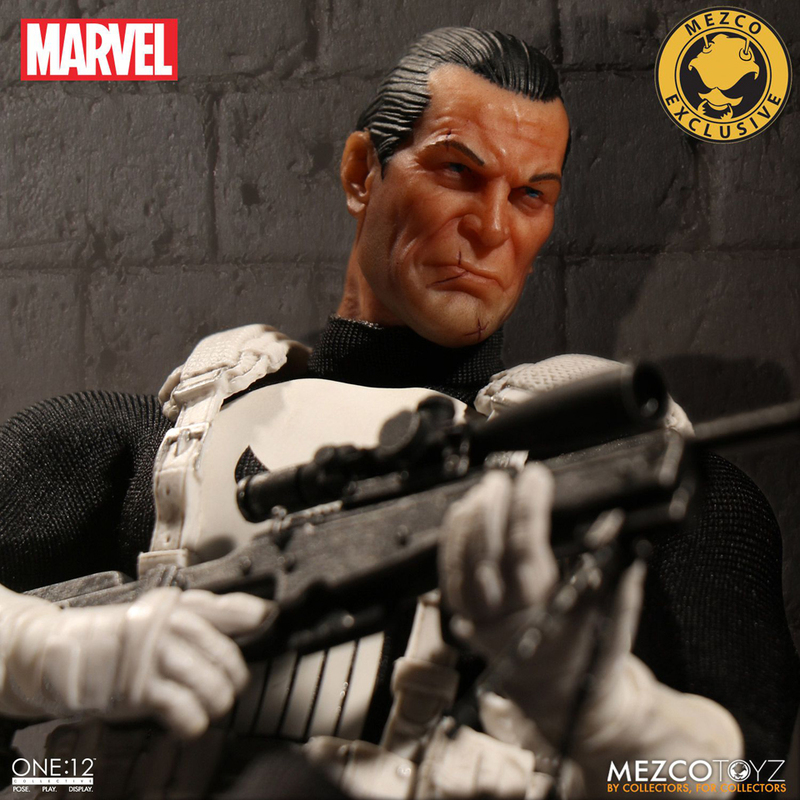 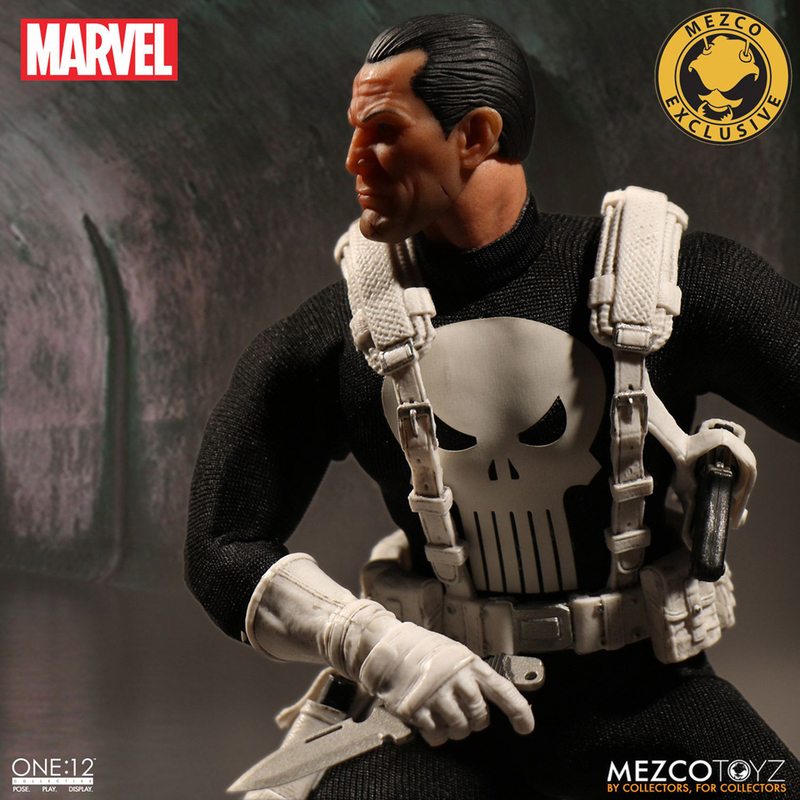 Mezco Toyz went for a minimalist and functional design for its first twelfth-scale action figure of the Punisher. 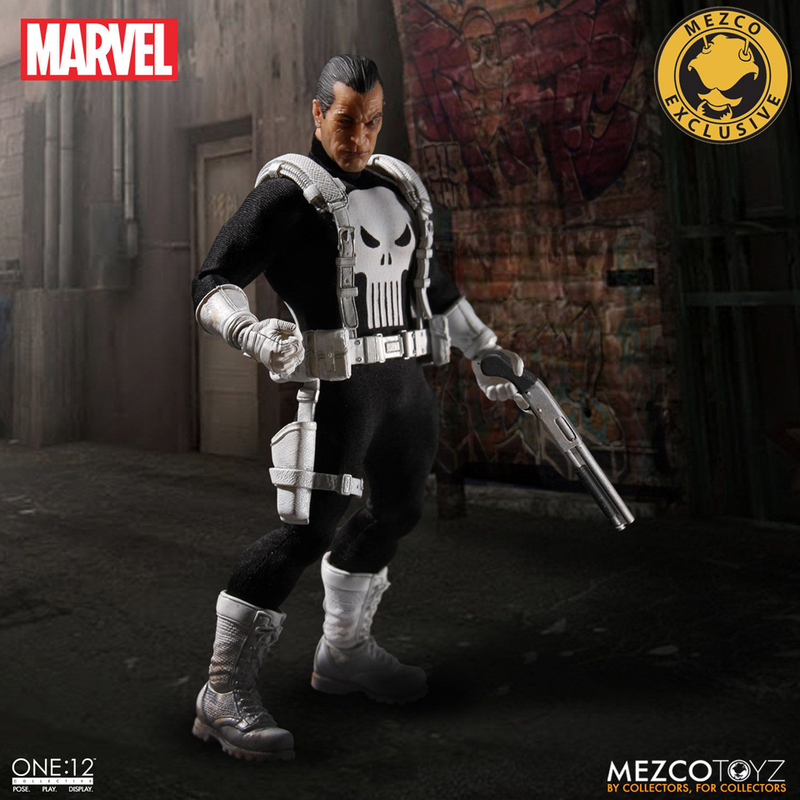 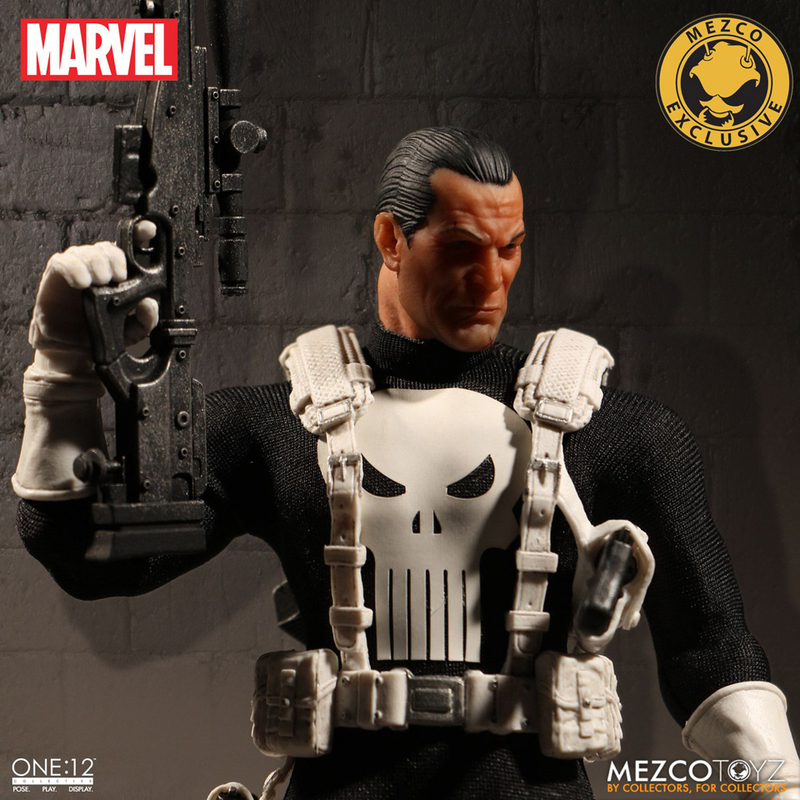 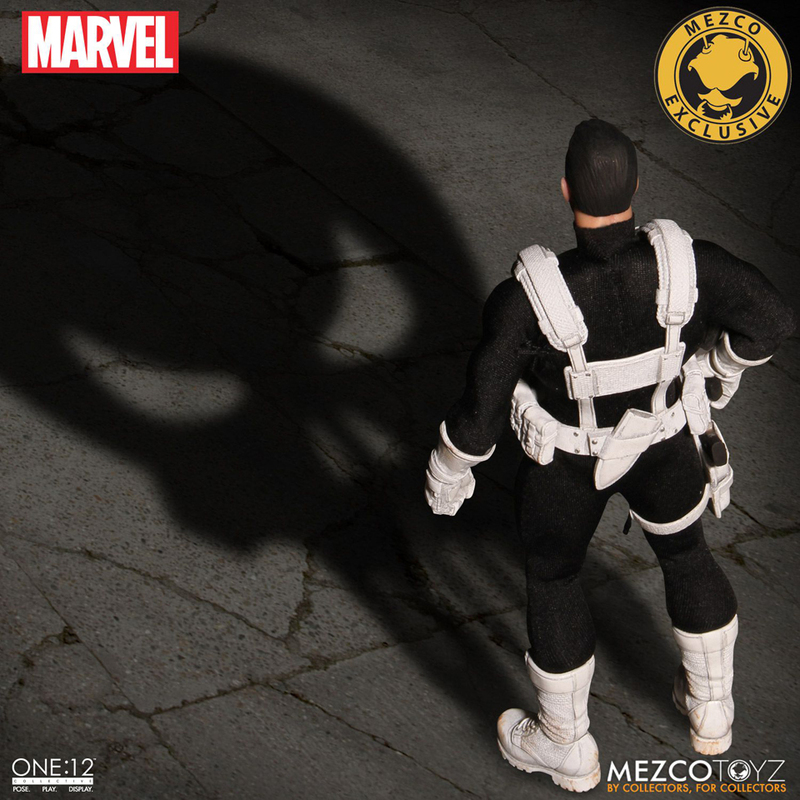 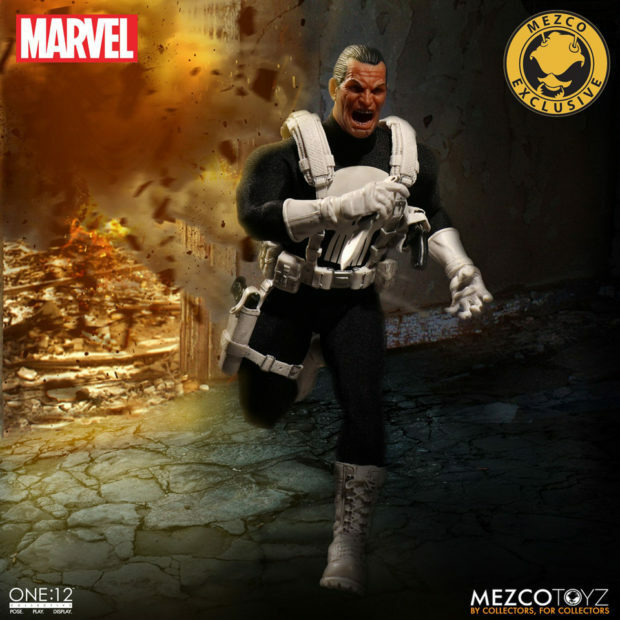 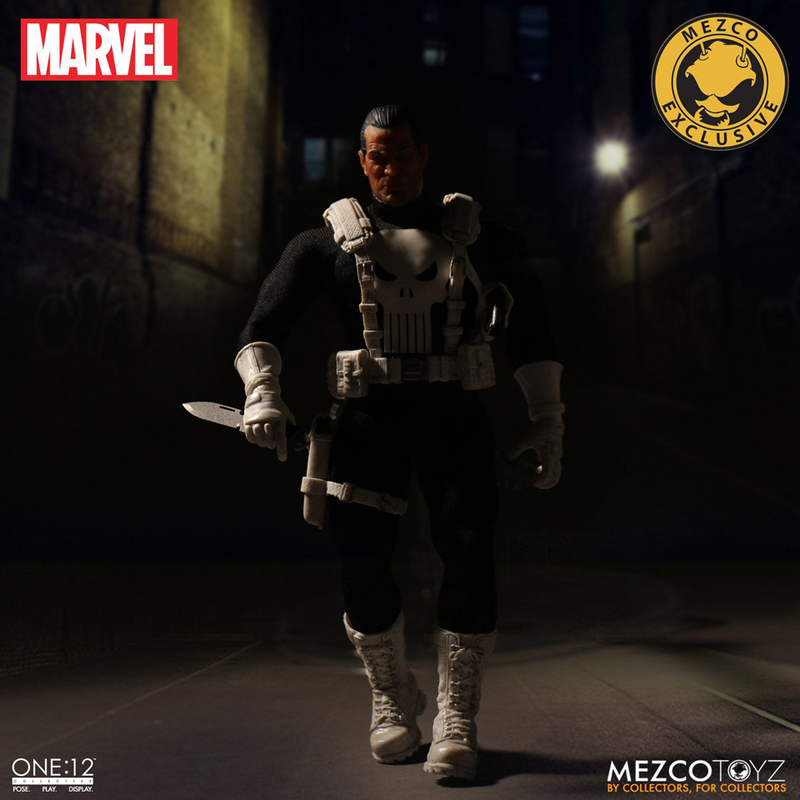 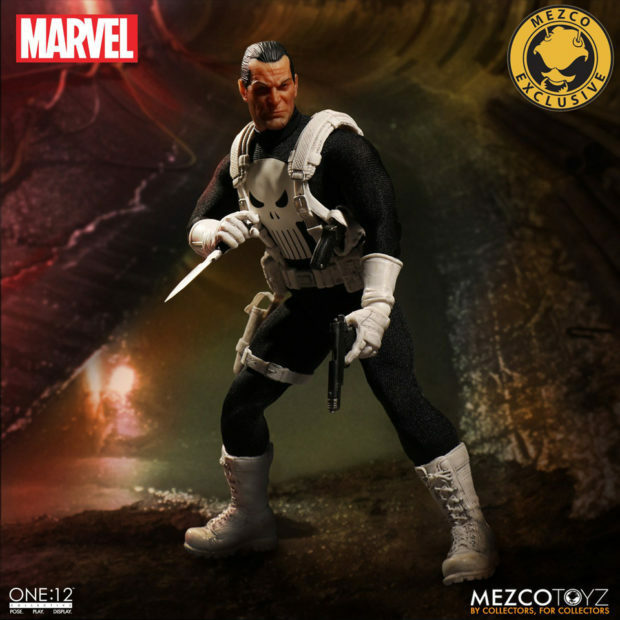 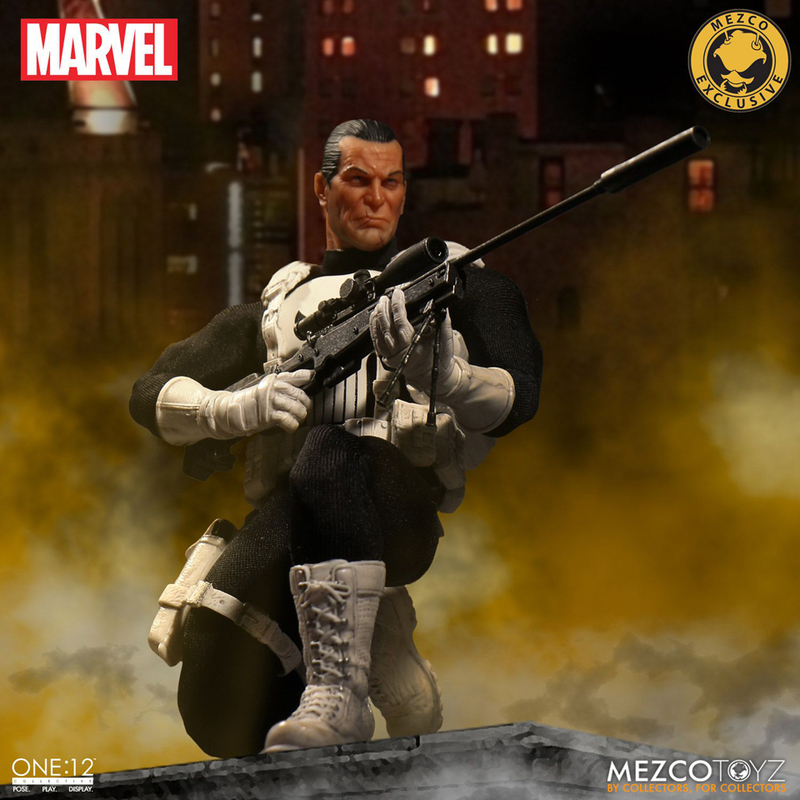 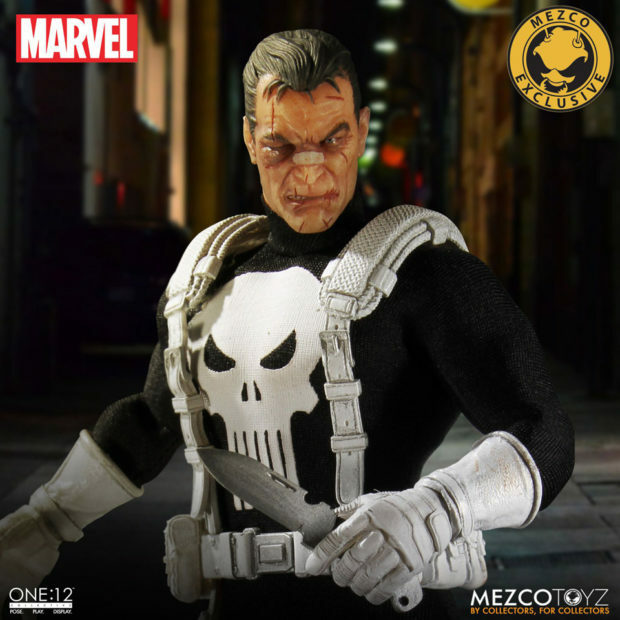 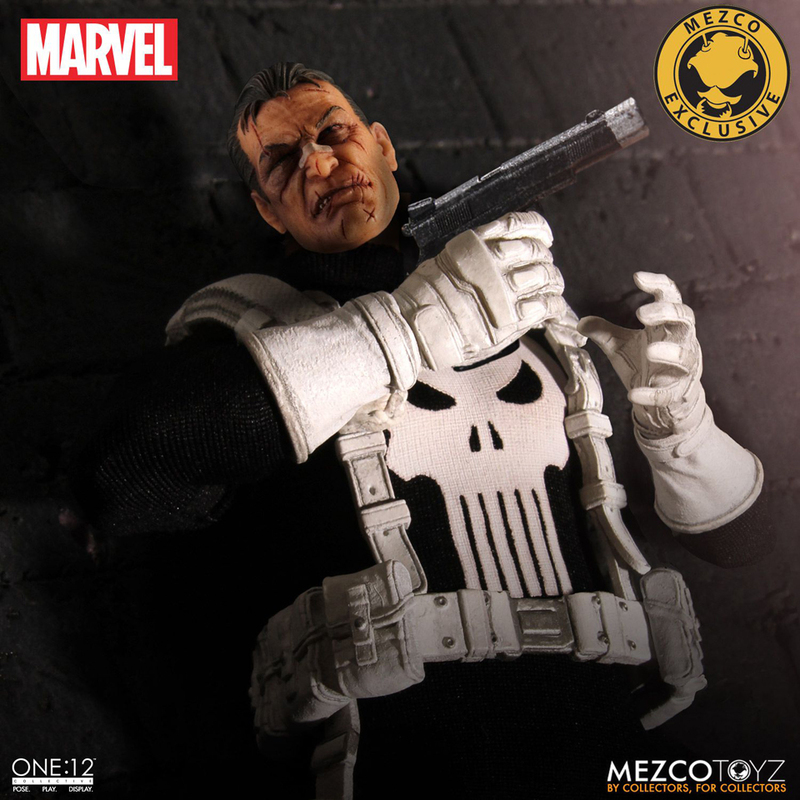 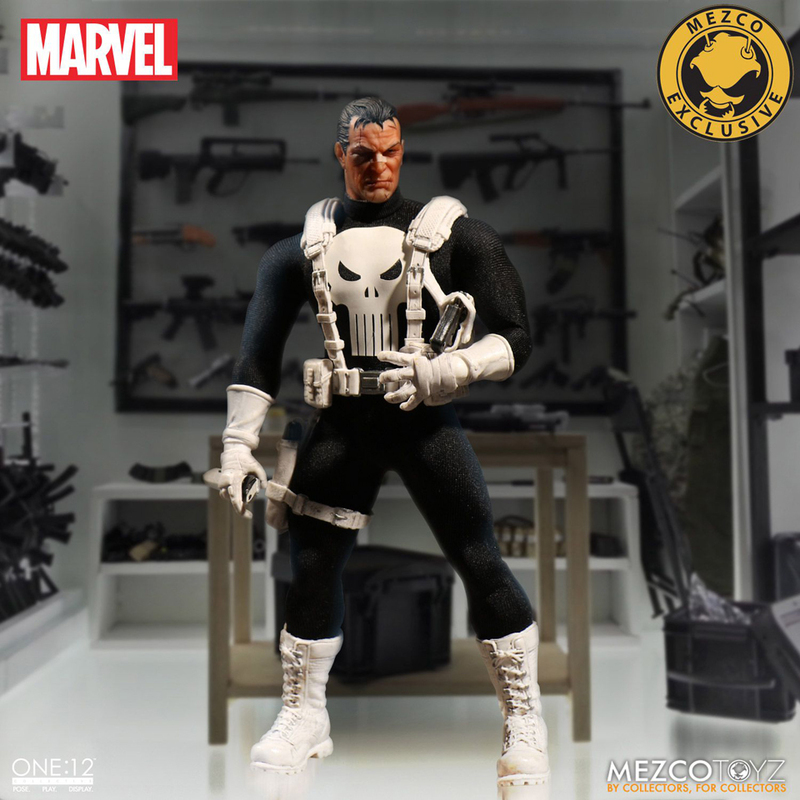 Now the company has announced a “classic” variant for fans who prefer Frank Castle’s classic black and bright white scheme. 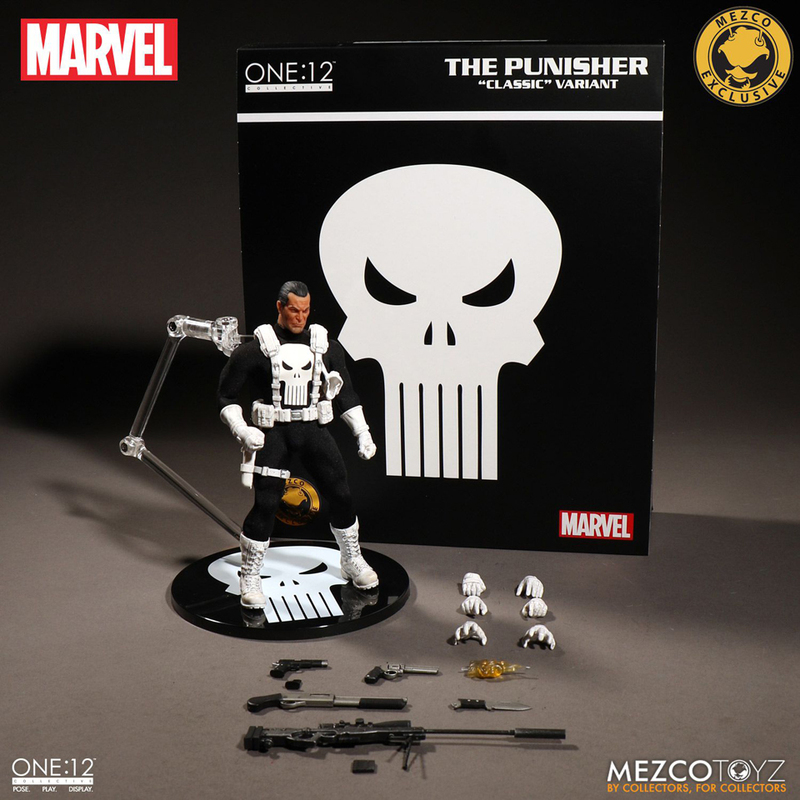 This variant keeps the Punisher’s skull-printed shirt, white gloves, white vest and white boots from the comics. As far as I can tell, it comes with the same three portraits that are in the other One:12 Collective Punisher, but it does come with different weapons: a sniper rifle with two clips, a shotgun and a revolver. 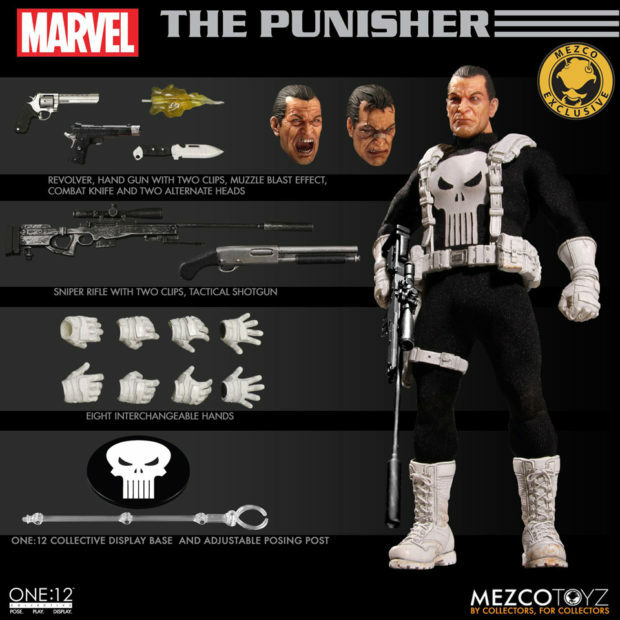 It also comes with a pistol and a combat knife, a muzzle blast effect and four pairs of hands. You can pre-order the Classic Punisher action figure for $85 (USD).